- Login to your employer account. to get search result in your email directly. - To finish, click Search button to get the results. 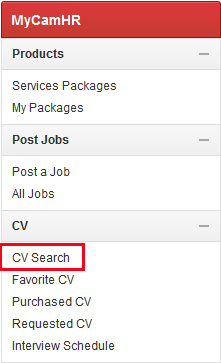 - But if you don't want to filter the CV search result, click on All CV to view all candidates' CV. 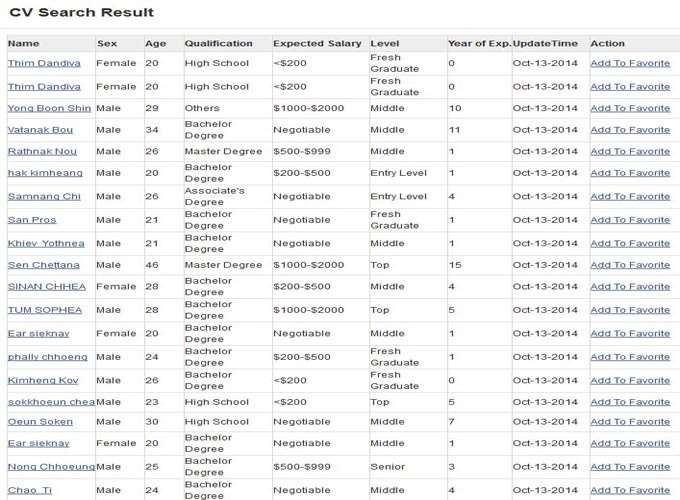 - Click on the name of your wished candidate to view the full CV. 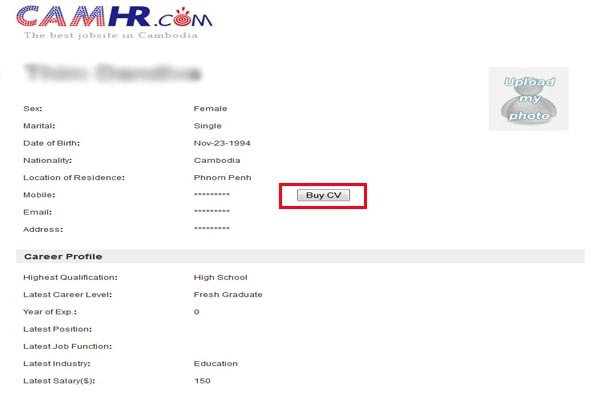 - Click Buy CV to see the candidate's contact information. - Then My Packages box appeared and please click Select to buy the CV, showing contact information. 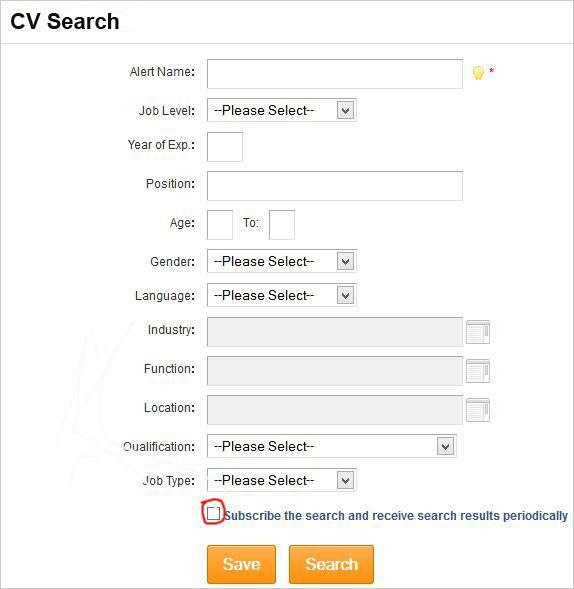 *Note: You can purchase one of CamHR Services to buy the CV!